Ohh I enjoyed making this one, I masked of the square with a lowtack masking tape then blended the navy ink with a sponge and then stamped the tree from Stampin Up (Wonderous Gift) in the same navy ink. I then left the masking tape in place and sprayed inside the square with Crafters Companion Glitter spray, it is very quick drying. 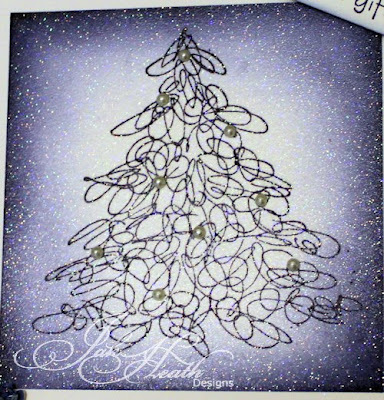 I then removed the tape and scored around the square to create a border, added a few white pearls to the tree, stamped out the sentiment from the same set and added a few blossoms and leaves. This close up shows you just how sparkly the glitter spray is. The only down fall to it is you either need to go outside to spray or make sure you are in a well ventalated room. Most unusual and very beautiful. This is beautiful, I actually have that stamp set from my StampinUp days. Love what you did with it. Just beautiful Jak so simple but lovely. Ohhhhh gorgeous Jak and can't believe how Glittery the close up is. WOW. Stunning Jak...I haven't got the stamp but maybe I could replace it with the Cuttlebug Christmas tree folder instead. The glitter looks fab, I think I need to get some to play with. Such a beautiful card, Jak. Where do you get your inspiration from, Girl!! 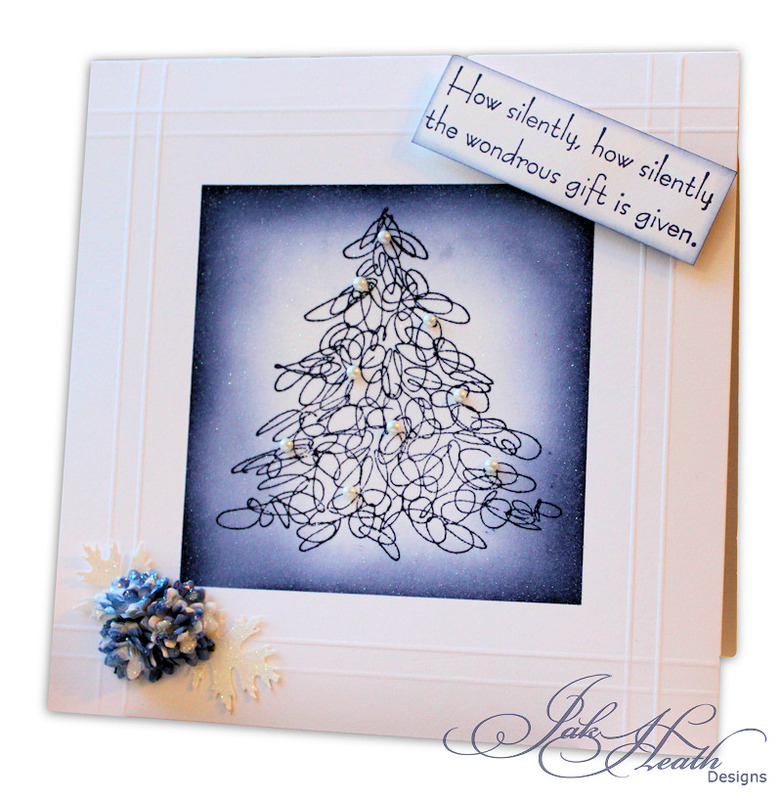 wow what a stunning card Jak, i love the simplicity of it and its wow factor.